It seems I am getting lax at downloading the pictures from the new Nokia N8 to update the blog, so here is a quick summary of the progress being made. 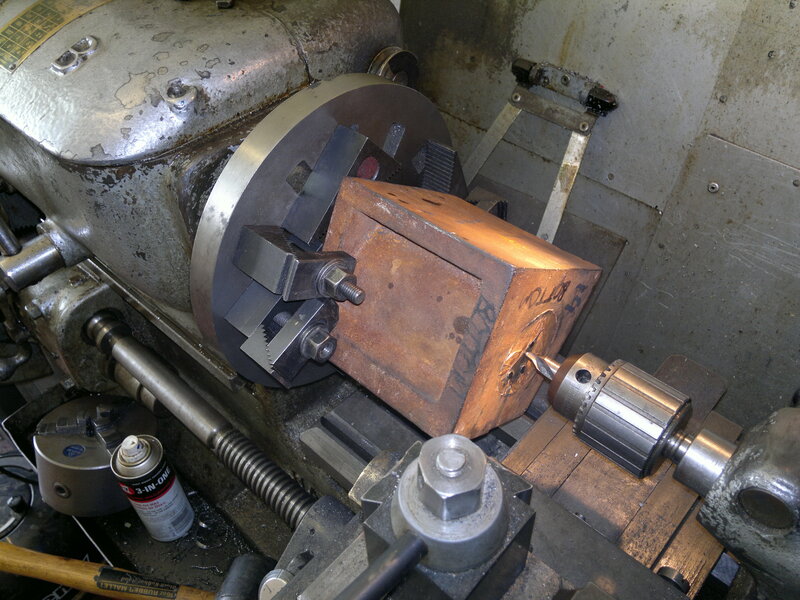 I have a couple of pictures here of boring the high-pressure cylinder and piston-valve chest – the problem with these two is that they are too small and long to allow me to get the boring head in – and I have an inbuilt hatred of between centre boring bars – so thy had to be bored with a long boring tool… (here’s a video) This is right at the start of the boring process, and the cored hole in the casting is somewhat off centre, so at this point it all looks a bit wobbly and we have an interrupted cut in progress. This approach to machining has resulted in the bores being a bit tapered [wear in the 60-year-old Harrison’s bed 😦 ]. It looks like they might be about 2-thou off parallel, so I will need to pay some attention to this. For the piston valve I can probably make the liner match – for the cylinder perhaps some AGGRESSIVE honing might help… we’ll see. This entry was posted in The Power Plant and tagged cylinder, lathe work on December 19, 2011 by sybefur.